As moms we have hopes and dreams—goals in life that we want for our kids, family, and ourselves. January is when you’re most likely looking for the best way to accomplish your goals in life. The New Year is exciting, hopeful, and gives me the opportunity to start over—but not this year. This year, my January has stung me with a very familiar scenario—overwhelmed mom. 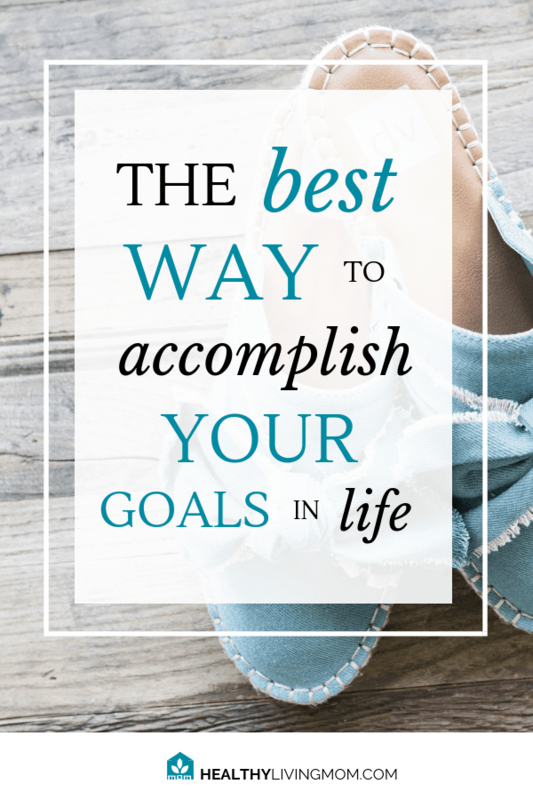 My start over—the time when I plan and set my goals in life as a mom—didn’t happen. Was it because of time? Could it be because of health issues I’ve been dealing with? How about the fact that we moved to a new home and a new city? Or that I’ve been without my kitchen sink for a few weeks now as we renovate our house? All of these are logical reasons, but they’re not the real reason why overwhelmed mom snuck back into my life. A couple of weeks ago, I was praying and reading my NIV Women’s Devotional Bible, when the Lord gently spoke to my heart. For many years I didn’t have a set of written goals in life. God gently reminded me that by experiencing overwhelm again, I can specifically show you that I get it. I know how you feel—and God is allowing this overwhelm so I can share with you that it doesn’t have to be that way. Sweet mom, God doesn’t waste our overwhelm. It has purpose—to draw us closer to Him and His purposes. You see, there was a time when feelings of overwhelm caused me to fear that I wasn’t a good mom and even to the point of feeling like I never would be. Maybe that’s you too. I want you to know that God sees you. He cares for you and me so much as moms, that by His grace, He tenderly allowed me to experience overwhelm again this January so that I could share with you the good news. I know how to crush those feelings of overwhelm and the best way to accomplish your goals in life. If I can do it. You can too. I think you’re going to be surprised that the best way to accomplish your goals in life is really simple, but it’s also not the first thing that people do or that they do at all. It’s pretty safe for me to assume that if you’re reading this right now, you’ve already been inundated with countless individuals telling you that they have the perfect solution for you to set and succeed with your goals in life. One of my favorites is actually Michael Hyatt. He has some great insight and he mentions in his podcast 5 Reasons Why Resolutions Fail, just why it is that only 8% of individuals are successful. I really respect Michael Hyatt and have enjoyed his blog for years. But as a Christian, I believe that he’s still missing the real reason why individuals are not successful with goals. For one, Michael is like so many individuals in that they offer these perfect methods and products. 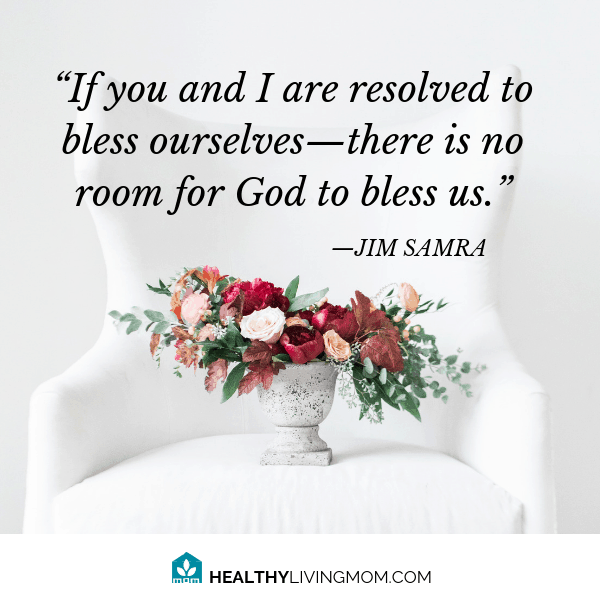 They are offering you and me the same solution and it’s inherently self–defeating and negative. The problem is that these solutions start with you. They subtly tell you that you are the problem. Create goals that don’t matter to you. Don’t work hard enough to succeed. Have goals that are not SMART (specific, measurable, attainable, realistic, and timely). Okay, so which one of these do you think is the best way to accomplish your goals in life? Actually, none of these are the answer. “I am the vine; you are the branches. Whoever abides in me and I in him, he it is that bears much fruit, for apart from me you can do nothing.” —John 15:15 (ESV) Emphasis mine. The week before New Years I was reminded just what the best way to accomplish your goals in life really is and to be honest, it totally caught me off guard—even though I know the truth and I practice it myself. I was sitting in church on a Sunday morning when I heard something I never thought I would ever hear from a pastor. Before my thoughts could run away with the train…Pastor Jim continued by saying that there is a best way to accomplish your goals in life. Verse 9, very clearly gives the answer. In scripture we read, “The Lord opposes the proud, but gives grace to the humble.” —Proverbs 3:34 (NLT – read in the Greek). Tyre was destroyed because of it’s pride—self-reliance. It had listened to the solutions of the world—they thought they were the answer. So, if you are listening to everyone else’s solutions for the best way to accomplish your goals in life—it doesn’t look like it’s going to work out too well for you. Remember that statistic Michael Hyatt gave? Only 8% are successful while 92% fail at goals. Could this be and example of the modern day Tyre? Continuing in Isaiah 23 verse 18, it says that Tyre’s wealth will be given over to those who seek the Lord first. 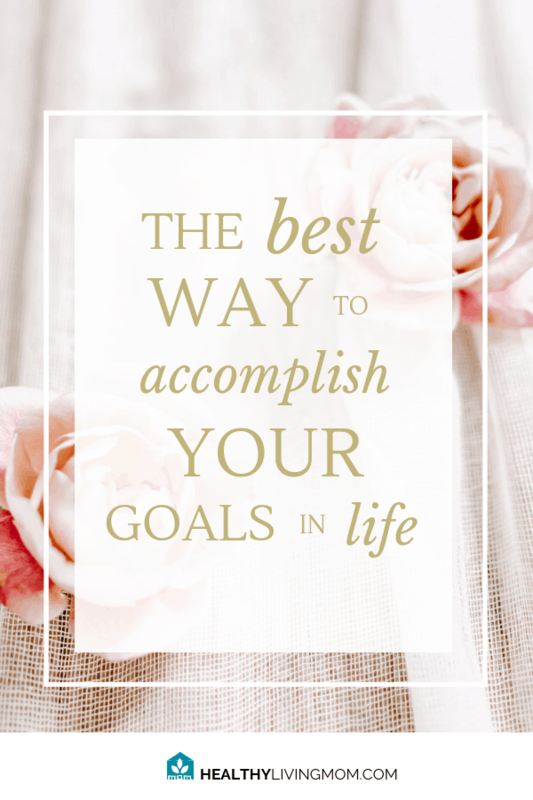 The best way to accomplish your goals in life? Seek the Lord first. I invite you to make this a matter of prayer and to ask for the Lord’s wisdom with making plans and establishing your goals in life. It’s okay. You don’t need to worry. He will guide you. There’s also no need to rush or feel like you’re behind. 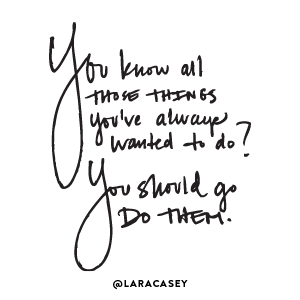 I really like how Lara Casey says it, “There’s no magic in January 1.” Today is the best day to start! Take notice of common themes that keep coming up in your life. For me it often will be something someone says, or a song I hear, after I’ve read something in my Bible. If you want insight or wisdom, the Bible also says to ask! Find some godly Christians, seasoned moms, a pastor, or a godly girlfriend for what they think you’re good at or even those things that you need to improve upon. Both of these areas are great to have for your goals in life—to live a life of reverence and godliness as mentioned in Titus 2. These three things are what I’ve been doing for many years and this year I’ve needed to lean harder into that foundation because of all of the change that we’ve recently experienced as a family. 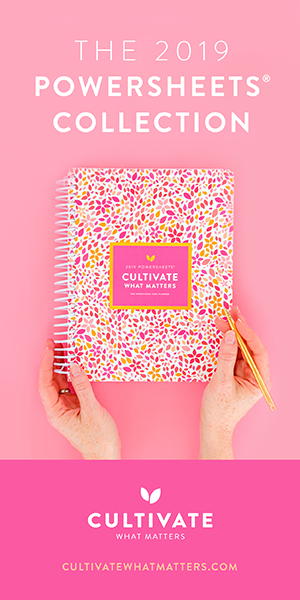 The past four years, I have intentionally invested in some things to remove a lot of the guesswork for me, bringing me joy, and easing my overwhelm as a mom. 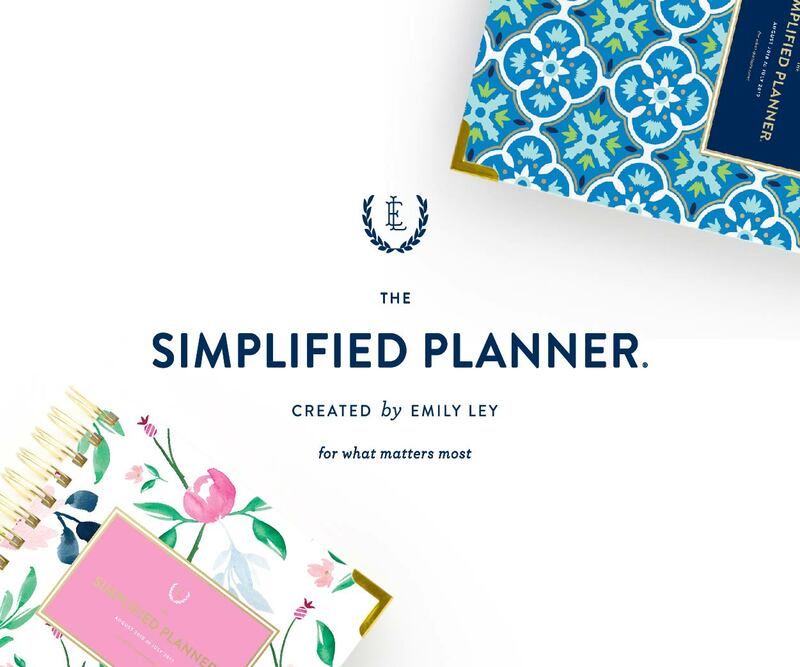 My two favorites are the PowerSheets Intentional goal planner and the Emily Ley Simplified Planner. I talk about these all the time. These are great tools. In fact, I don’t even consider any other products when it comes to implementing intentional goals and planning. And yet, I’ll say it again. They are just tools. They are secondary to me seeking the Lord first. If you remember, “apart from Him, I can do nothing.” So without him, tools will help, but what are they helping? As a Christian, if your goals in life are about you. God is not for that. If you want your goals to succeed, humble yourself before the Lord. It’s not what you want. It’s what God wants. Lastly, I’ll leave you with something to consider. What if God didn’t have a plan? The best gift you can give your family is to have a plan too. 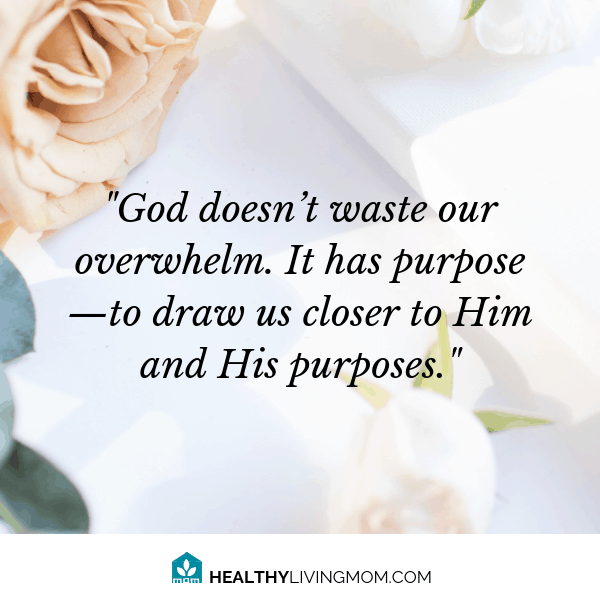 I love the reminder that God doesn’t waste our overwhelm. Great post! Thank you, Kristen! It’s definitely not easy in the process—so the reminder definitely held us to fix our eyes on him! Amen! Every time I feel myself getting caught up in what the “experts” are telling me to do to grow my blog I feel overwhelmed. When I seek God and hand it over to Him, I feel at peace and usually see much better results. Seeking Him is always the right choice! Yay! Katie! Thank you for sharing your testimony that Seeking Him first does help you feel at peace and get better results! ❤️ I love this!